This brick and iron shopfront constructed in 1903 is a typical corner store of the type found around Australia in the first half of the 20th Century. The general store also served as the original North Perth Post Office and Telegraph office, before the purpose-built building on View Street (Site 6 on this trail) opened in 1916. In 1906, Miss Watson was listed as the Post Mistress and shopkeeper. This interior of a Perth corner store from 1933 shows the highly ordered rows of goods behind the wooden counter and a display cabinet. The walls are decorated with posters advertising a range of goods including fly spray, jam, and soap. 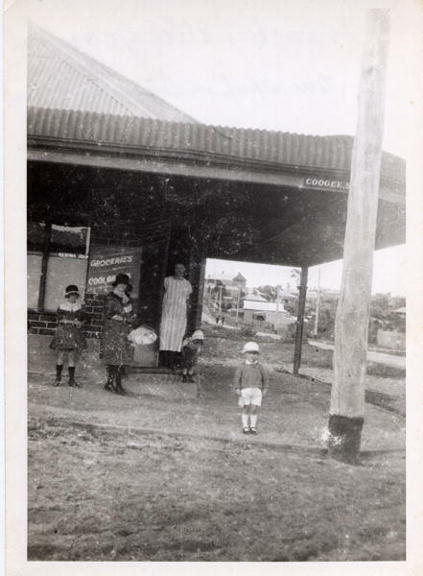 The shop on the corner of Angove and Woodville Streets would have been one of many located in neighbourhoods, where people would travel on foot to shop for most of their daily requirements. The picture below from the 1920s shows a corner store in neighbouring Mt Hawthorn, with a similar bullnosed verandah to the Angove Street premises. General Store, Anzac Road and Coogee Street Mt Hawthorn, 1926. The building at 39 Angove Street was converted to a Government State Bank in 1915 and the former postmaster Mr. Phillip continued to operate his store there until 1930. The shop was vacant between 1931 and 1933, following which different businesses operated until the late 1940s. These included a boot maker, Mr. Horace Collins; Mr Eyre who ran a mixed business and Mr Arthur Temple who operated a hairdresser. Local stores continued to play an important role in the suburb until the mid-century, when growing car ownership lead to the rise of the supermarket. 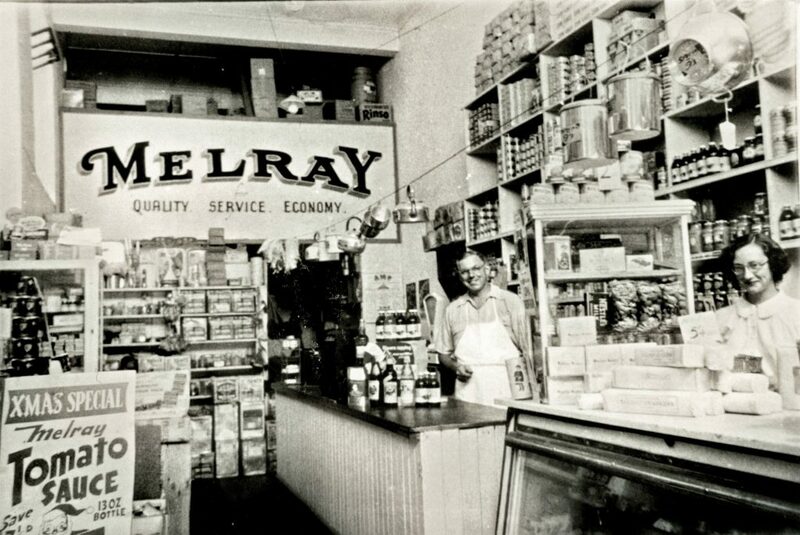 The image below shows the interior of the Melray Store, located at 453 Fitzgerald Street (today the frontage of the Four5nine bar at Rosemount Hotel) in the 1950s. Eric Elliot Job, possibly with his wife Olive inside the Melray Store. Cans, bottles and boxes are piled up almost to ceiling height. In 1956, Thomas Wardle (later to become Lord Mayor of Perth) opened Australia’s first self-serve discount grocery store, Tom the Cheap, in Charles Street North Perth. By 1969, there were 185 Tom the Cheap stores around Australia, with annual turnover of £200 million. 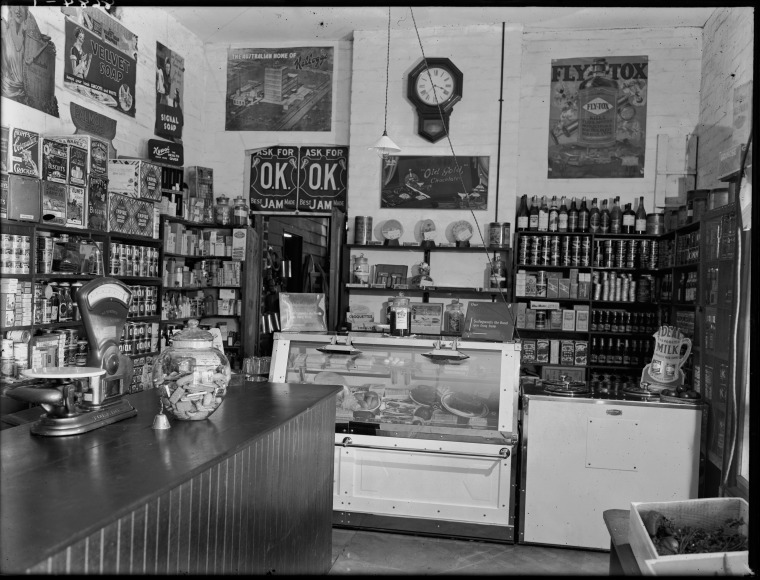 PH02827 – Interior of the Melray Store at 453 Fitzgerald Street, North Perth c 1950s. 014578PD – Interior of a corner store, Perth, 1933. Sourced from the collections of the State Library of Western Australia and reproduced with the permission of the Library Board of Western Australia.